The Paris terror attacks that have outraged the world and renewed fears of an attack in the U.S. have also loosened the rules of journalism for some Fox News anchors. Instead of their usual just-the-facts approach, several Fox News and Fox Business anchors have angrily opined and editorialized. Their emotional statements have included fierce criticism of President Obama, zealous calls to military action and a robust anti-refugee stance. Meanwhile, a lone voice at the network, Shepard Smith, has urged caution, warning that too extreme a response could "fundamentally alter who and what we are." While such editorializing is routine for primetime personalities like Bill O'Reilly and Sean Hannity, and from the network's stable of conservative contributors, it is a rarer thing for the Fox news anchors. Asked if the network had given anchors the green light to express their views on air, a Fox News spokesperson declined to comment. 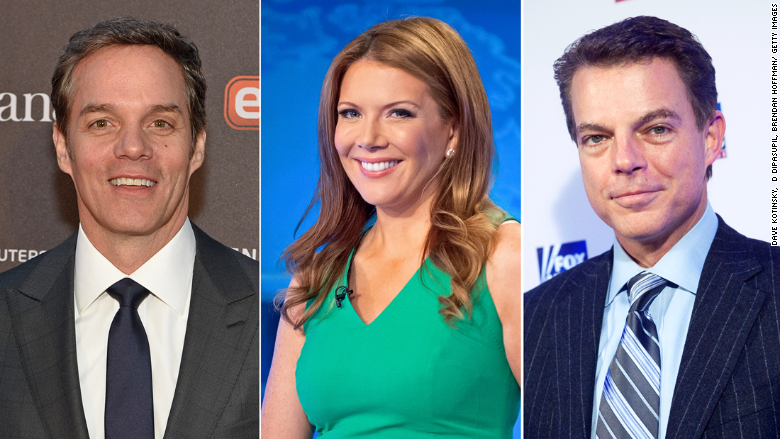 Bill Hemmer, Trish Regan and Shepard Smith have been passionate after the Paris attacks. On Monday, the usually impartial Fox News anchor Bill Hemmer appeared live from Paris and railed against President Obama for his response to the attacks. "President Obama has made it quite clear... that he has accepted there are evils in this world and evils in places like Paris, France, and this is something that we all must face today," Hemmer said. "If you're at home wondering with your own set of anger and your own set of fears about what can happen next, you are not alone... And if you were awaiting clarification on your feelings.... you weren't going to get it." On the Fox Business Network, Trish Regan, a host who usually reports on markets and finance, called for the United States to destroy ISIS. 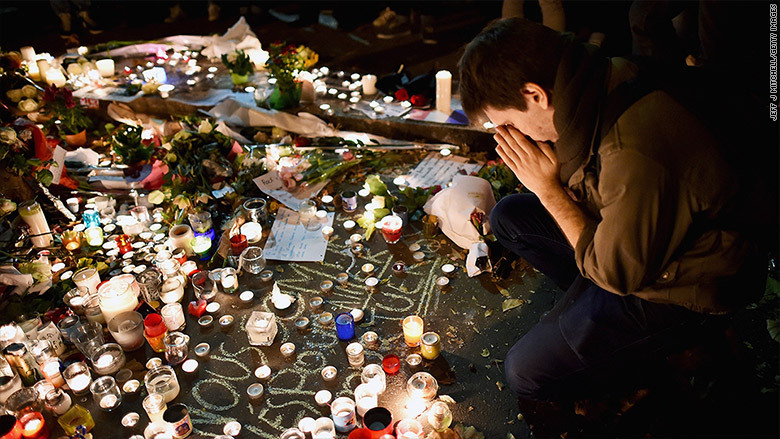 "This tragedy that has unfolded in Paris is a wake up call to the world. ISIS must be defeated," Regan said on her show. "This must be our number one goal. The biggest threat right now isn't climate change or political infighting, it is our common enemy: Barbaric terrorists that want to kill all of us and destroy the world. ISIS derives its power from its caliphate. We have the capability of destroying the caliphate, and thus ISIS, and need to act in order to preserve humanity." After several U.S. governors announced they would be closing their states' borders to Syrian refugees, Fox News anchor Julie Banderas tweeted, "I say close our borders to any country with anti-Western sentiment." "Real Americans have spoken," she wrote. "The question is will the president listen?" These remarks came on the heels of a presidential press conference in Antalya, Turkey, where reporter after reporter pressed Obama to explain why he had underestimated ISIS and why his strategy against it wasn't working -- two statements presented as facts, despite varying opinions about the administration's handling of ISIS. "I think a lot of Americans have this frustration that they see that the United States has the greatest military in the world, it has the backing of nearly every other country in the world when it comes to taking on ISIS," CNN's senior White House correspondent Jim Acosta said to the president. "I guess the question is -- if you'll forgive the language -- why can't we take out these bastards?" A CNN spokesperson declined to comment on Acosta's framing of the question. A makeshift memorial in Paris to victims of the terror attack. While the passion displayed by the anchors may be understandable given the circumstances, some fear that it may be contributing to jingoism and fear mongering. "This is a strain that periodically recurs in modern American journalism, back to William Randolph Hearst ginning up the Spanish-American war," Frank Rich, the New York Magazine columnist, told CNN. "It didn't end well for him - or the country - and history has not looked kindly on the news media hot heads who called for the escalation in Vietnam and the invasion of Iraq." Steven A. Cook, a senior fellow for Middle East and Africa Studies at the Council on Foreign Relations, said he "turned off the TV and stayed away from social media" after the attacks, "knowing that viewers would be treated to unsubstantiated analysis, rumors, and fear mongering." And yet it is a Fox News anchor who has been the most outspoken advocate for caution in the face of tragedy, even as his colleagues voice strong arguments for action. 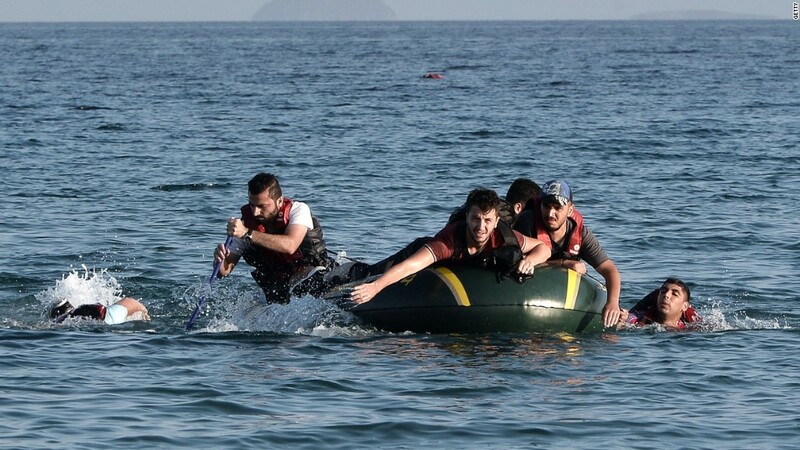 "In the face of terror, will we panic, or be calm and deliberative in approach?" Shep Smith said on his afternoon program Monday. "Confronted with those who want to change our way of life, will we abandon our freedoms and the rights granted to us by the Creator?" Smith went on to argue that the U.S. must "welcome huddled masses yearning to breathe free," and cautioned against "extreme measures to fundamentally alter who and what we are."